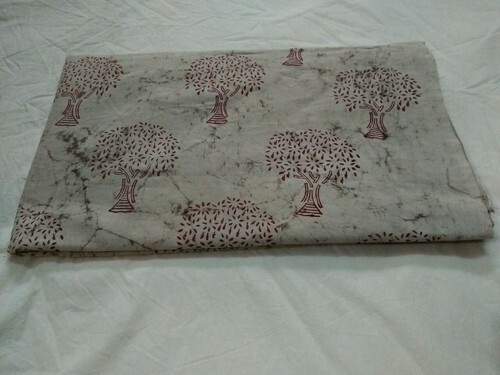 Cotton fabric printed cotton cambric 60*60 in hand block print. Incepted as a Sole Proprietorship company in the year 1996 at Jaipur (Rajasthan, India), we “Bidla Hand Printers” are engrossed in manufacturing an outstanding quality range of Salwar Suit, Ladies Saree, Bed Sheet, Unstitched Ladies Suit ,Ladies Suit, Ladies Suit Fabric and Dress Material. These products are widely known for their attractive look, smooth texture, amazing design and fine finish. Under stern supervision of “Mr. Shankar Lal Bidla” (Proprietor), we are able to provide complete satisfaction to our clients.